In times of danger or excitement, you need adrenaline to take over, but you don’t want too much of a good thing. Now here's an adrenaline rush! 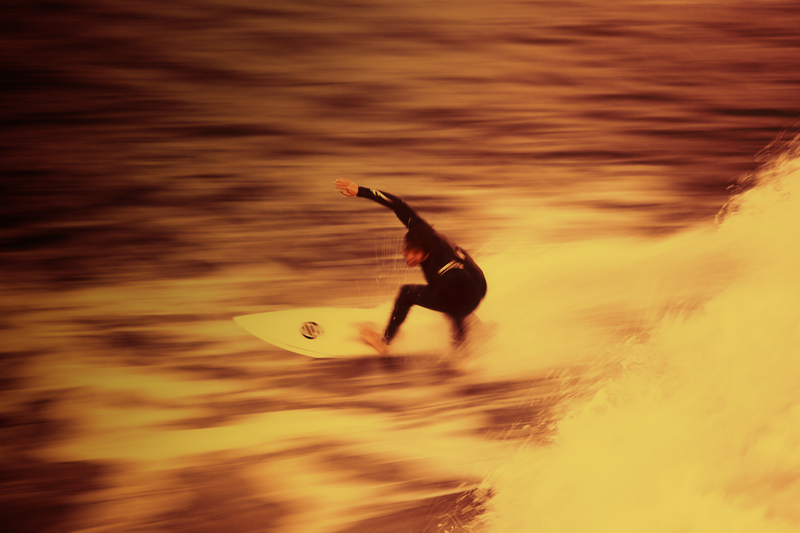 Beyond wild surfing rides, we experience adrenaline in countless other aspects of life. You leap from a plane and plummet toward the earth at 120 miles per hour, waiting for your parachute to open. You surf aggressive waves with abandon. Or… you tense up at the creaking sound near your front door at 3 in the morning. Whether you’re a skydiver or surfer seeking an adrenaline rush or you’re home alone at night and have watched too many scary movies, you know what it’s like to feel the effects of adrenaline. Your muscles tighten. Your heart races. Your pupils dilate. Your senses are heightened. That surge of adrenaline can make you feel, at least temporarily, like a superhero. Yet, if your body remains in a persistent state of heightened alertness, such as when you suffer chronic stress or anxiety, adrenaline can be a villain that negatively affects your heart and other parts of your body. Also known as epinephrine, adrenaline is the key hormone responsible for readying your body for the “fight-or-flight” response in times of emergency. (See also our post “Norepinephrine Deficiency: Surprising Research Challenges Our Understanding of Natural Depression Remedies.“)If you’re startled by barking dog, frightened by a jump-scare in a horror movie, or dodge an oncoming vehicle in traffic, your adrenal glands release adrenaline and other stress hormones, such as noradrenaline (a neurotransmitter) and cortisol, into the bloodstream. The adrenaline then acts almost instantaneously in a well-choreographed manner throughout your body. In your cardiovascular system, it prompts your heart to beat more rapidly, stimulates an increase in blood pressure, and increases blood supply to your heart, lungs, and muscles. Your breathing increases, and the air passages in your lungs widen in order to provide more oxygen to your body and brain. Furthermore, the rush of adrenaline during a stressful situation increases strength, physical functioning, and perspiration, while reducing your body’s pain sensitivity. It stimulates a release of blood sugar, or glucose, to provide energy and alters your metabolism so that your body and brain use that blood glucose more effectively. And, it enlarges the pupils in your eyes to sharpen your vision and heightens your hearing and other senses, along with your awareness. Typically, the effects of the fight-or-flight response wane within an hour or less after a stressful situation has ended, and your body’s systems return to normal. For the most part, an occasional stressful event and a temporary spike in adrenaline usually have no long-term or permanent effects on your body. Problems can occur, though, if your adrenaline and cortisol levels remain persistently elevated, which can occur if you repeatedly feel stress for no particular reason and you’re in no imminent danger. Increases in heart rate and blood pressure resulting from chronically elevated adrenaline levels can damage your heart and blood vessels. You can feel jittery and anxious, suffer insomnia and headaches, and experience digestive upset. Moreover, chronic rises in cortisol can lead to weight gain, partly because the hormone increases appetite. Repeated stress isn’t the only reason why adrenaline levels can remain elevated and cause problems. For instance, a rare tumor known as a pheochromocytoma can form on the adrenal glands and cause adrenaline increases and the symptoms that accompany them. A more common medical condition, obstructive sleep apnea (OSA), can trigger rises in adrenaline. OSA occurs when tissue at the back of your throat collapses during sleep, blocking your airway and causing frequent interruptions in breathing. As people with OSA struggle to breathe, their adrenaline levels and blood pressure climb. This physiological chain reaction may explain the relationship between OSA and increased risk for cardiovascular disease, heart attack, and stroke. In a quiet room, sit comfortably and focus on your breathing. Inhale and exhale naturally and notice how your belly rises and falls. If your mind wanders or you notice any distracting sounds, smells or sensations, re-direct your attention back to your breathing. Practice for five minutes at first, and gradually build up. Practice as often as you can. Yes, you need adrenaline during an emergency and to help you fight or flee when you’re in danger. And, there’s usually no harm in enjoying an occasional adrenaline rush from a thrill ride, your favorite sport, or other exciting activities. But, you can get into trouble when your adrenaline levels remain high, such as if you have OSA or experience chronic stress. So, if you frequently feel excessively tired during the daytime, your bed partner says you snore loudly, and especially if your blood pressure remains high despite efforts to reduce it, seek an evaluation and treatment for OSA. Regarding chronic stress, you can’t eliminate all of it from your life, but you can learn to minimize and manage it. First, document the things in your life that cause you stress, and concentrate on the ones you can change. Focus on the here and now—stress often arises from negative thoughts about the past or worries about the future. Find things that can help you relax and reduce stress, such as prayer, taking part in your favorite hobbies, or volunteering and helping others. Try to select activities that promote health and wellbeing—e.g., exercising with friends, working in the garden, or helping a friend with a home improvement project. Physical activity is a great stress reliever, so if you feel stressed or anxious, go for a walk or take part in a relaxing exercise, such as tai chi. If you need further help to reduce stress, find a coach or therapist who can counsel you on coping strategies. A therapist might recommend cognitive behavioral therapy, in which you learn to reframe negative thoughts, worries, and behaviors into more positive and constructive ones. You also might receive mindfulness training (see sidebar for a sample mindfulness routine). Or, simply talk to a trusted friend or family member. Sometimes, a simple conversation is all you need to relieve stress. adrenaline, anxiety, apnea, appetite, blood pressure, blood sugar, brain, cardiovascular, cardiovascular disease, cardiovascular system, chronic stress, cognitive behavioral therapy, cortisol, depression, depression remedies, digestive, exercise, fight or flight response, glucose, headaches, health, hearing, heart attack, hormone, insomnia 2, metabolism, mindfulness, natural depression, natural depression remedies, neurotransmitter, norepinephrine deficiency, osa, pain, physical activity, sleep, sleep apnea, strength, stress, stress hormones, stroke, sugar, tired, tumor, weight gain, your lungs.